U.S. Customs and Border Protection (CBP) officers boosted government coffers by more than $30,000 over the weekend, penalties for travelers at Philadelphia International Airport who failed to comply with disclosure requirements, said a news release from the regional office of the U.S. Department of Homeland Security. On Sunday, a Ghana couple arrived from Germany and was referred to a secondary inspection. The man verbally reported possessing $6,000. After CBP officers explained federal currency reporting requirements, the man then wrote down that he possessed $16,000. During a baggage examination, CBP officers discovered multiple envelopes that contained U.S. currency, British pounds, Swiss francs and Ghana cedi, the release said. Officers verified the total currency at $27,431.30. After returning $500 to the couple for humanitarian purposes, officers seized the remaining $26,931.30 before releasing the couple, neither of whom were criminally charged, the release said. A member of U.S. Customs and Border Protection’s Global Entry trusted traveler program saw her privileges revoked Friday after failing to truthfully declare the full $6,083 amount of merchandise she purchased overseas to CBP officers at Philadelphia International Airport, the release said. After the traveler, a Philadelphia resident, arrived from Germany, she processed her admission on a Global Entry self-help kiosk. She didn’t declare any merchandise that exceeded the $800 standard duty exemption. She declared to CBP officers that she purchased $500 in merchandise, including a handbag and other miscellaneous items, the release said. During a baggage examination, CBP officers discovered receipts for merchandise totaling $6,083 that she purchased abroad. CBP officers released the traveler and her merchandise after she paid the $6,083 duty penalty, the release said. Drafts said CBP “derives no great pleasure from seizing travelers’ currency,” but he stressed that seizures are the consequence “for failing to comply with U.S. currency reporting laws.” There is no limit to how much currency that travelers can bring into, or take out of the United States, but they must report amounts of $10,000 or more in U.S. dollars, equivalent foreign currency, or other monetary instruments, the release said. The term “duty-free” may confuse some travelers. Articles sold in a duty-free shop overseas are free of duty and taxes only for the country in which that merchandise is purchased. CBP is charged with collecting duties at our nation’s ports of entry as part of travelers’ arrivals processing. Failure to declare merchandise purchased overseas can include a multiplied penalty of the merchandise duty, to seizure of the merchandise, the release said. CBP collects over $30 billion annually, which is the second largest revenue-generator for the U.S. government. 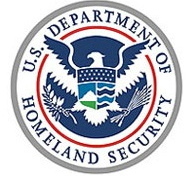 Travelers are encouraged to visit CBP’s Travel website at http://cbp.gov/xp/cgov/travel/ to learn rules governing travel to and from the U.S., prohibited and admissible items and what they must declare to CBP upon their arrival.